In2Summit Africa: "Purpose Is Central To PR In Africa"
Home Latest In2Summit Africa: "Purpose Is Central To PR In Africa"
“There is an inherent purpose in being African, because of the challenges we face as a continent,” said writer, magazine editor, and radio presenter Kojo Baffoe. JOHANNESBURG—Corporate purpose is central to doing business in Africa, attendees at the third In2 Summit South Africa heard this morning, during a panel discussing “Finding Post-Truth Purpose: Why Addressing Societal Needs Is More Important Than Ever,” sponsored by Weber Shandwick and led by Brian Tjugum, the firm’s managing director of social impact, EMEA. Tjugum cited several statistics: 87% of respondents to a McKinsey survey said business should devote as much time to purpose as it does to profit, and an EY study showed 89% believe purpose-driven companies deliver better products. And Weber Shandwick’s own research indicates that South African consumers are similarly well-disposed toward purpose-driven companies. “It’s not a nice to do, it’s a must-have,” Tjugum concluded. That perspective was confirmed by panellists. 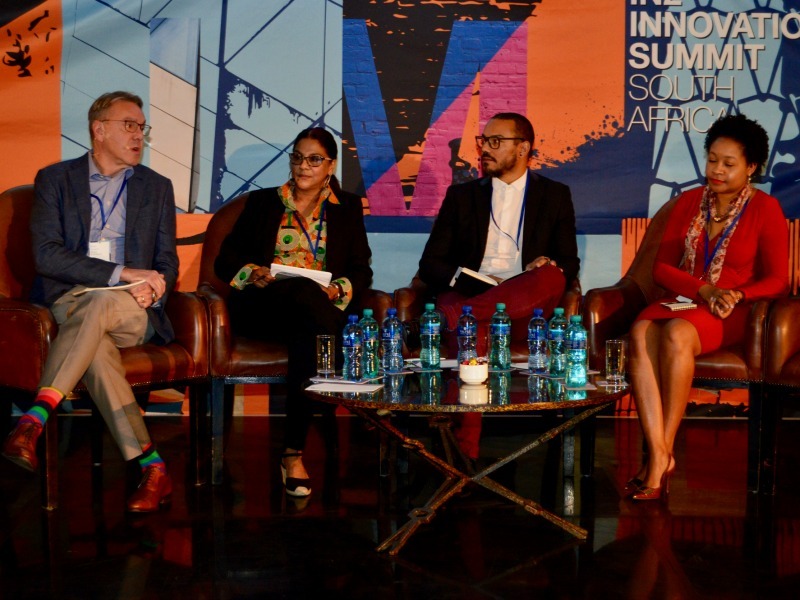 Chimene Chetty, director at the Centre for Entrepreneurship, Wits Business School at the University of Witwatersrand, reinforced that point: “In terms of South Africa, we have a culture of businesses that understood the importance of purpose. Many years ago, we had businesses that went to meet with the leadership of the ANC because they understood the role the ANC had to play in creating stability and lasting peace,” said Chetty. Sazini Mojapelo, managing director of corporate citizenship, Barclays Africa, provided the perspective of a major company in South Africa: “We as a company have been on a journey that started a couple of years ago as we think about what our purpose in society is. A core part of that has been looking at the culture and value system and purpose of the brand and how we transform people’s lives. Why we exist as a private sector company is how we uplift people’s lives and how we create shared value. Chetty, meanwhile, pointed to corporate programs such as Business Against Crime South Africa, and South Africa Breweries’ entrepreneurship initiative, to show companies making a difference on critical social issues. As for the question of whether there’s a degree of “purpose fatigue”—either inside corporations or among key stakeholders—the panel was resounding in its judgment.